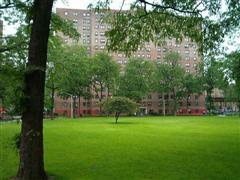 I grew up in the Marble Hill projects of the Bronx and lived on the ninth floor. 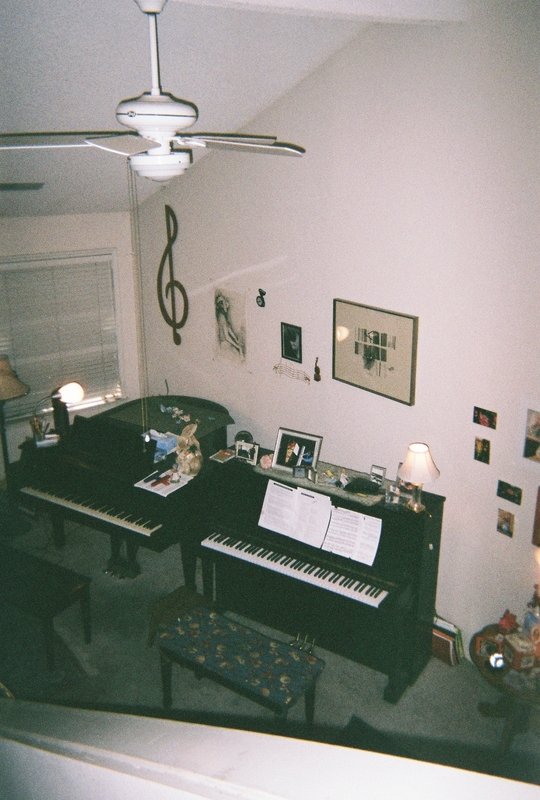 The walls of our housing development were so paper thin that when I practiced on my Sohmer 1922 studio upright, my first dream piano, it would elicit nerve-racking thumps from the neighbor down below. To my embarrassment, I would meet up with him from time to time in the elevator, and he would leer at me and shout “shad-up,” in a harsh tone of voice. His thick German accent made me cower. 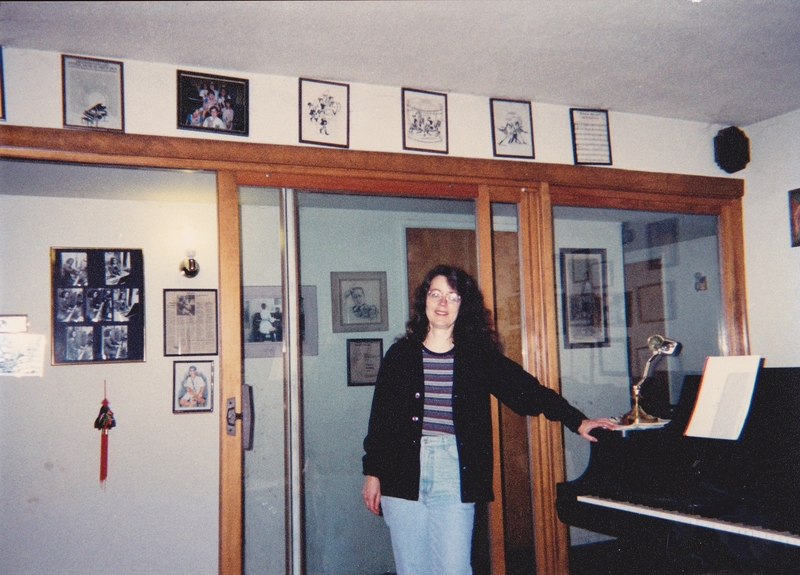 Years later, when I was a single woman living on the corner of Amsterdam and 74th street in Manhattan and practicing on my rebuilt, 1917 Steinway M grand, a dream piano that replaced my first, I no longer harbored a worry about music-hating neighbors because most of the residents in our building were musicians. Nineteen year old Danny lived at the end of the hall and was the youngest member of the NY Philharmonic’s cello section. The apartment dweller to his right, David, was a flautist and Rutgers law student who would occasionally bring me accompaniments to his Mozart concerti. From my sixth story window that overlooked Needle Park, I could hear the unabashed outpourings of professional opera singers who were preparing auditions, and if I walked over to the Ansonia, a more imposing edifice located on the other side of Broadway at 73rd, I would experience a muted chorus of voices intermingled with strings and piano. It sounded like the cacophony of symphony orchestra members warming up before a concert. On the occasion of my moving to Fresno, California in 1979, a city with never-ending strip malls and fast food outlets, I inhabited my first private home that afforded my practicing day and night without intrusion. I had even added a fancy, oak paneled glass-enclosed, sound insulated room in order to teach and play without waking my stair step children. By the time they were approaching school age, they would whiz down the hall on skateboards causing a ruckus that drowned out my pp’s (pianissimos) and those of my students. When I sold my house a few years ago, the new occupants gutted the piano room and replaced it with a caged sanctuary for stray animals awaiting adoption. It was, unfortunately, a somber transformation of an area designated for a musical treasure of a dream variety. In exchange for services rendered to a wheel chair bound senior, I paid no rent. But with this relocation came restrictions on my practice time and a gross scale down of space. The studio was so small that my students would trip over themselves to get to the piano that was smack up against a book shelf making the area right behind the bench too narrow for anyone’s comfort. In one of my unguarded moments, I did an inadvertent back flip with my feet landing up in the air. If this was not enough of a personal embarrassment, a new student and her prim and proper mother entered my sanctuary just at that moment, and caught me in an uncompromising position. Needless to say, I had a lot of explaining to do. This rent free housing opportunity, plagued by space problems was short-lived. Continuous infringements on my teaching and practice time forced another move. My final relocation was to a townhouse nestled among mature pine trees in a quaint neighborhood known as Old Fig Garden. 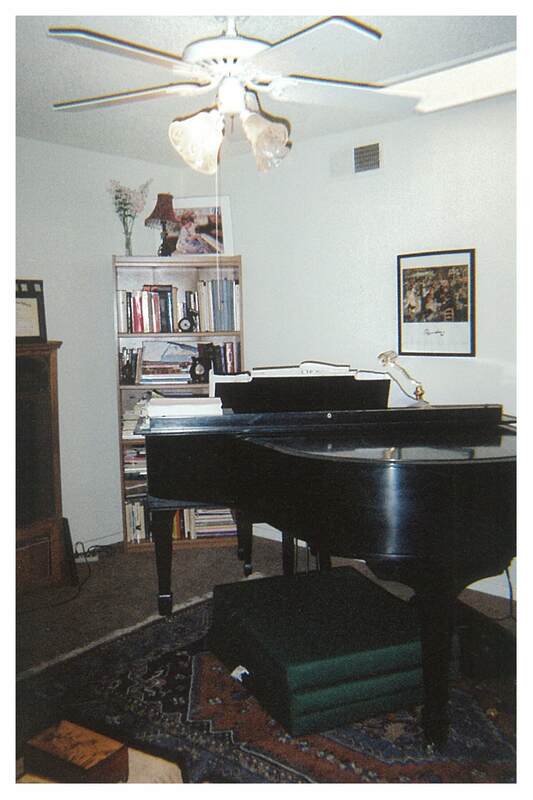 My newest spacious living room area amply accommodated not one but two Steinways (the latter being a studio upright) and an antique Aeolian “table style piano with three leaves.” It provided an envious acoustic because of its high, vaulted ceilings. The only down side of living in this new abode was that the neighbor to my right had quickly informed me that the sounds of my nocturnal playing reached into his infant son’s nursery, with unpleasant consequences. So rather than uproot myself once again in the face of complaints about my unorthodox practice times, I had devised a plan that would satisfy everyone within earshot of my piano. At exactly 9 p.m. each night I would don a pair of earphones and pound away on my Casio digital keyboard until the crack of dawn. At 9 a.m. I would shut down my keyboard and re-awaken my Steinway.